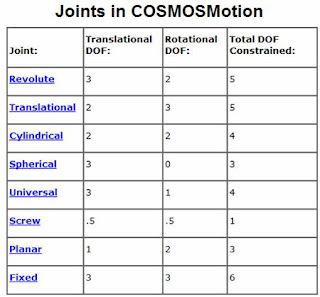 COSMOSMotion is a rigid body kinematics and dynamic simulation software that is fully integrated in SolidWorks. 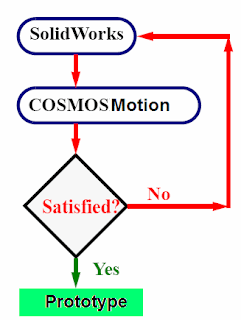 COSMOSMotion simulates the real life working of your mechanism. 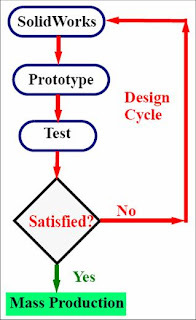 It is used by students, designers, engineers and other professionals to produce efficient and optimized designs. Use SolidWorks to build the model. Test the model under various conditions. Instrumentation is needed in most cases. Based on the results, modify the model in SolidWorks, build a prototype, and test again until you are satisfied with the design. Send the drawings to manufacturing. Hi, I have a question; can we make that the movements simulated in CosmosMotion detect interferences with other bodies? Something likes the physical dynamics option when we move components. 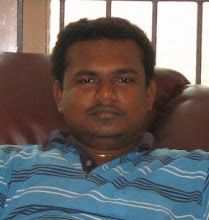 I hope that you can help me. Thank you.